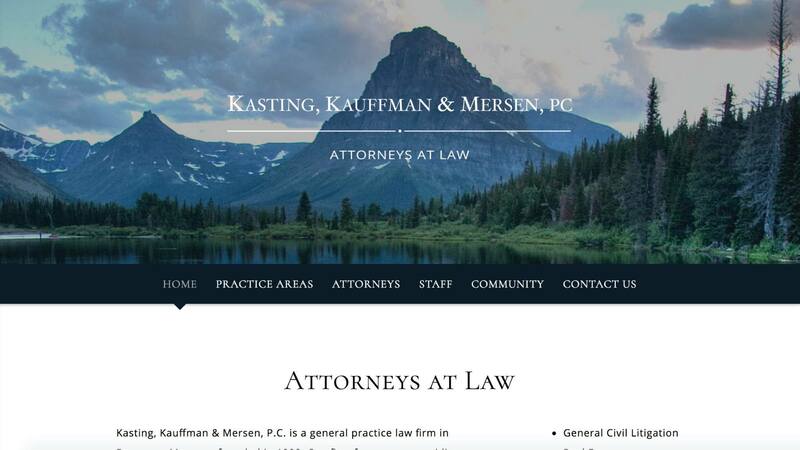 Kasting, Kaufman & Mersen, PC is a law firm in Bozeman, Montana. Their goals included an updated look and feel of their website, and an overall simplicity for the website. We added a few pieces of visual interest, including photography KKM provided. The result was a clean, responsive website that met their goals. An added bonus – they show up on the first page on Google.